The Experience Design concept is oriented to offer a unique experience to each one of your end users and to best address unstructured processes of your organization. Unstructured processes are those which you may catalog as non-routine, highly unpredictable or dynamic, mainly because the course of action is not known beforehand, it emerges during process execution and depends on the information available. They involve a knowledge worker making informed decisions that define the course of action of each case. Those knowledge workers need a Work Portal that adapts dynamically to their needs and everyday situations. In unstructured process, knowledge/expertise work take place, as opposed to routine/operational work which applies to structured processes. Experience design view is an additional view to the two traditional main views to model processes (the Wizard view and the Expert view). Through Experience Design you will be able to make the most of: Empowering knowledge workers, presenting a personalized user experience, and using contextualized capabilities, among others. Keep in mind that Bizagi Studio's Wizard view is still very relevant if your business cases involve structured processes, and you do not need to personalize your end user's experience as Knowledge workers. Bizagi 11 opens the door to managing data like never before. Different new features will allow your end users to access information directly, and manage it. Or dynamically activate auxiliary processes or tasks, without having to do this through a previously designed process. This possibility provides a platform that invites you to design the Work portal according to the different types of your users and their needs. The following concepts are immerse within Experience Design. Bizagi 11 presents a Work portal which allows knowledge workers to make informed decisions, such as when to start a process or update data, boosting agility and productivity. Knowledge workers are end users, who based on their experience and the information around them, make significant decisions in their every day work. The nature of the processes they are involved in is highly unstructured because the different flows emerge during these execution of such processes, based on the data and decisions taken. Bizagi presents knowledge workers all the information and the relevant dynamic options in every situation for them to make those important decisions on the fly. Common examples of knowledge workers are: a Doctor, a Lawyer, or a Technical support manager (those which do not carry out operational routine work but diagnose, inspect or assess). Bizagi 11 lets you create a unique experience for each and every one of your end users. 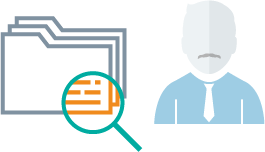 The Work Portal automatically adapts by understanding who these users are: what they want and what they commonly need. In the digital world, context is key. Bizagi 11 is context-aware and intelligently presents only the options and information that make sense in a particular situation. Within the options that each different user may launch, relevant and involved data is automatically injected, be it in a new process, a form or a business rule. The Work Portal dynamically adjusts to any change in each individual's situation, presenting the options and features that make sense to their current state and reuses the context's data, in order to avoid having to ask the information that is already given. •Structured processes can still be approached in the traditional Bizagi way. •You may also choose to use the Experience design features to approach structured processes if you see that these features add value to your implementation. Access to Experience design is found at the Ribbon, by clicking on the Experience icon at the Home tab. For detailed information on how to use all the features of Experience design, refer to Stakeholders.